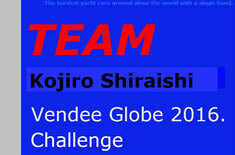 Kojiro Shirais will compete in. 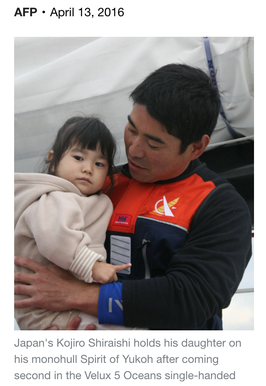 On Aug.4 at Home Port Matuzaki, sending off meeting and speach of Kojiro had been held with 165 audiences. 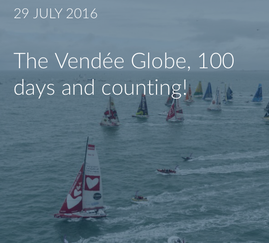 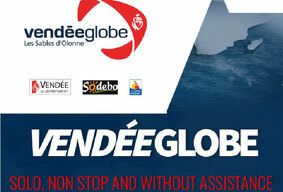 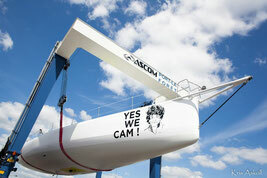 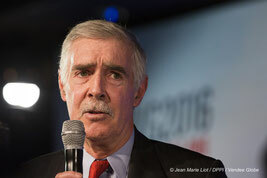 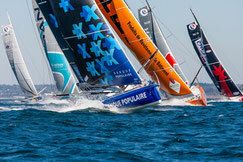 The Vendee Globe, 100 days and counting! 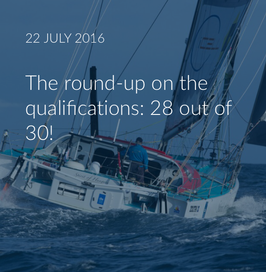 Round-up on Quolifications :28 out of 30. 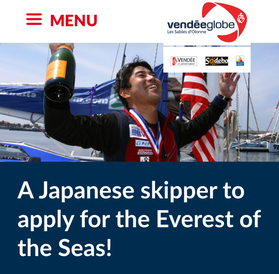 特別参加枠３隻分増やす、委員会が発表：Announced to add three extra places on. 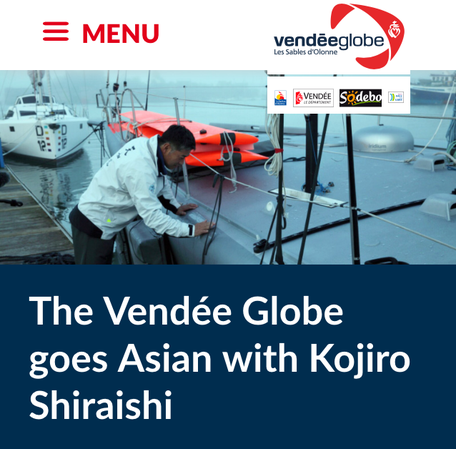 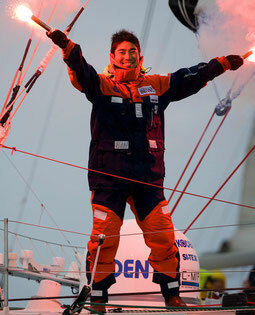 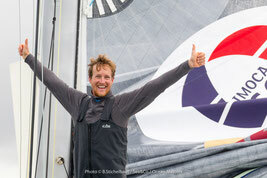 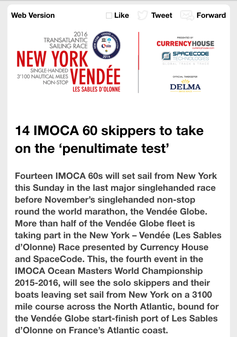 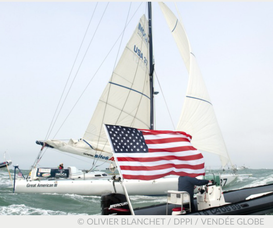 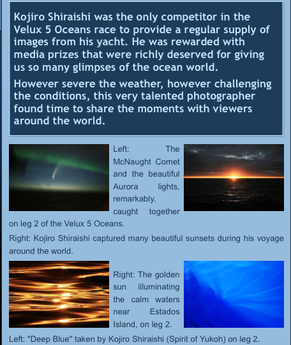 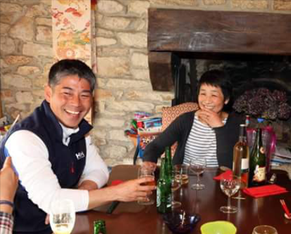 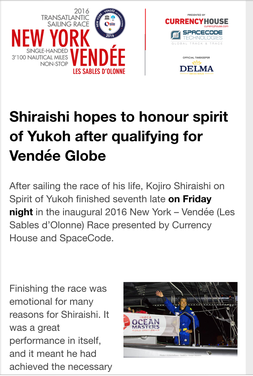 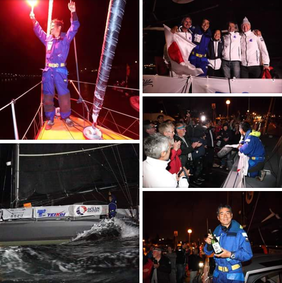 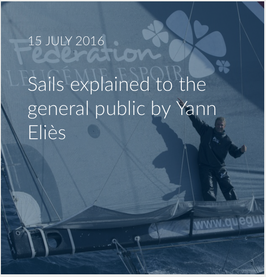 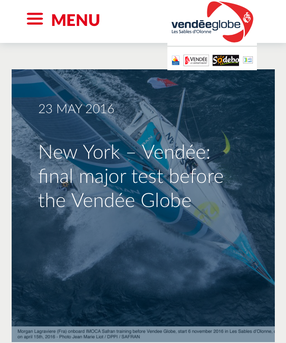 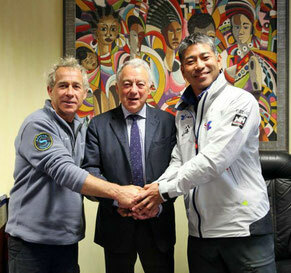 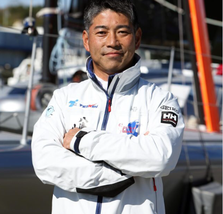 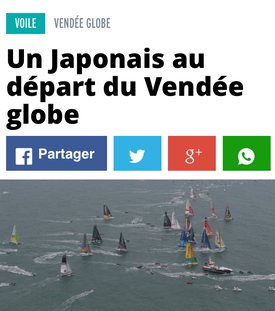 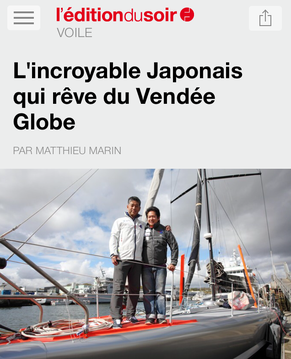 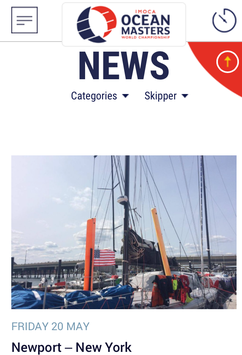 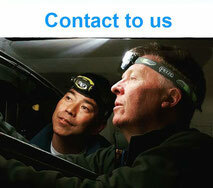 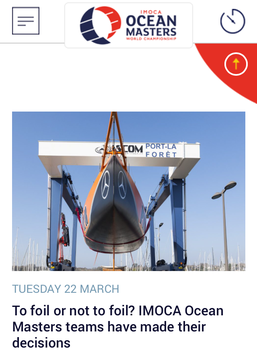 Vendee Globe Official's article is translated in Japanese as of June 17. 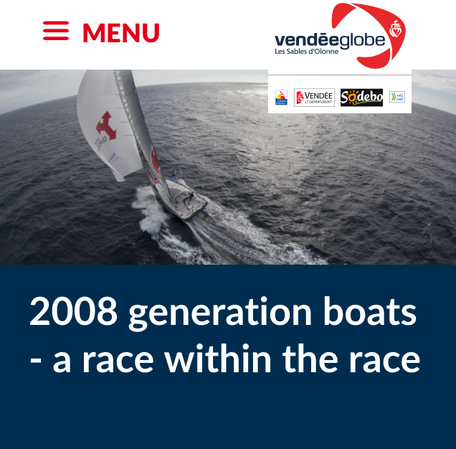 "2008 Generation Boats A-Race within The Race." 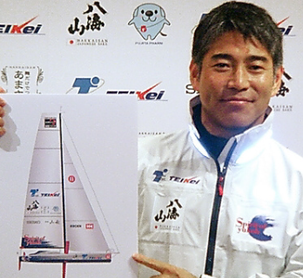 FOIL BOAT or NON FOIL BOAT. 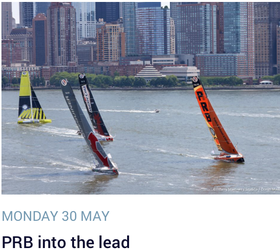 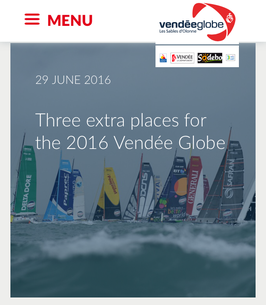 (Les Sables d' Olonne) Yacht Race on May.29 2016.